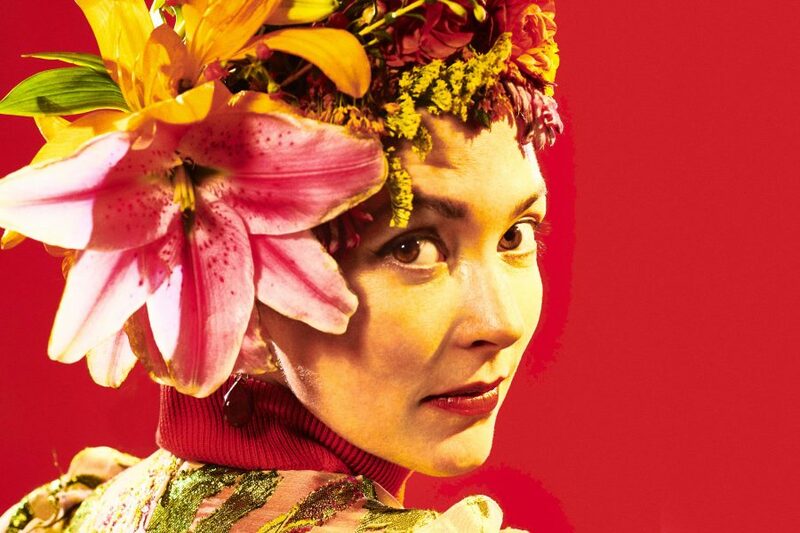 Amanda Shires extends an invitation for us to join her in a new Americana space – one in which spacey sonic elements flirt with traditional fiddles, and where women express their desires unabashedly. The entrance to this world begins with her latest album, To The Sunset, produced with Dave Cobb. “Parking Lot Pirouette,” the album’s opening track, showcases the signature tremor of Shires’ voice as she divulges her yearnings over a smoldering groove: “You know I’d give every dollar in my purse for another one of your detours / for another night,” she confesses. Meanwhile, “Leave It Alone” places listeners directly in the whirlwind moments worth remembering long after they pass. Shires’ soft vocals are supported by a driving beat that dares listeners to sit still. This combination perfectly mirrors the tender excitement of the lyrics, which depict two new lovers exploring one another: “Get to the part where the space between us closes / Where we lean into the gold-blue sky of mornin’ / With the words we can’t find like bees inside us swarmin.’” It’s hard not to catch a buzz off this track. One of the album’s most introspective moments occurs on the subdued number, “Charms,” where Shires, backed by gentle guitar, traces the intricacies of mother-daughter relationships. Shortcomings and anxieties are not glossed over; Shires gives a frank portrayal of motherhood, singing: “The fear I feel when I see my features reversed in my own daughter’s face.” The song includes musings on her own mother as well: “I’m darin’ to do what she couldn’t do / Gonna stay and make different mistakes / Isn’t it just like a daughter to throw it in your face?” This track is just one example of Shires’ willingness to draw out the truth, even when it comes with an ominous shadow. At the heart of the album lies a rollicking anthem for any woman who’s ever looked in a dirty mirror and told herself to keep on keepin’ on. “Eve’s Daughter” opens with a rowdy howl, setting the tone for the story of a scrappy young woman with a knack for spontaneity and starting over. Shires lets the full electricity of her backing band surge, and you can imagine this as the kind of thumping rock music playing as the song’s protagonist drives “through a sunset, shiftin’ gears / till there’s something better shinin’ diamond clear.” The energy of the crunching guitars makes you wanted to be counted among this spirited bunch of women (Eve’s daughters) Shires sings about. This past year, Shires added yet another asset to her songwriter’s toolkit: an MFA in creative writing. Many of the songs on this album could stand alone on the pages of a poetry book, thanks to Shires’ knack for vivid imagery and hyper-detailed narratives. However, luckily for music fans everywhere, Shires gave them a home on To The Sunset instead.